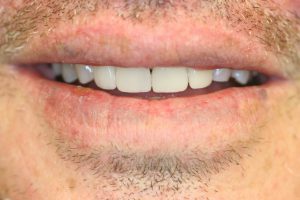 Boynton Beach Dentist: Al B. – My Neighbor. My neighbor Al, and I have been friends, since I moved into our neighborhood. Initially he lived with his family directly across the street from me. He was always friendly to me from the first day that I met him as was his “artistic” family. More recently Al, had expressed a desire to esthetically improve the look of his front teeth. He had them bonded a long time ago and while the bonding served its function well for many years, it was now beginning to show “wear and tear”. Moreover, his wife was, for want of a better way of stating it, urging Al, to hit the “refresh” button. Below are images of Al B., prior to treatment. Note the large gap between the front teeth as well as their yellow color. Also note that his teeth in the right posterior segment, which is shown on the left side of the respective image shown below that is just left of center. Our approach was to initially bleach his teeth. 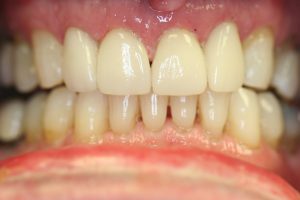 And while he was whitening them at home, we took impressions of his dentition and sent the models retrieved from the impressions to the laboratory to wax up. The waxed up version is a “mock up” of the final shape and length of the “completed” veneers, so that AL, could visually see what was possible and what we at East Boynton Dental envisioned and were working towards. 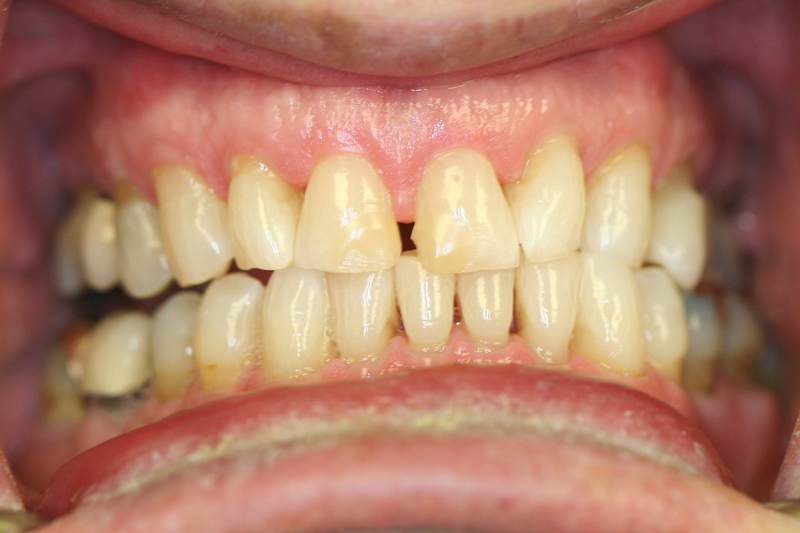 Below is the image showing his teeth prior to wax up which is on the left. The image on the right is the wax up version. Now with Al’s review, approval and consent, we then proceeded. 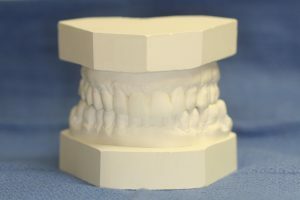 The teeth were prepared for Porcelain Veneers and an impression was taken. The teeth were subsequently temporized. The impression was sent to the laboratory, along with other records. 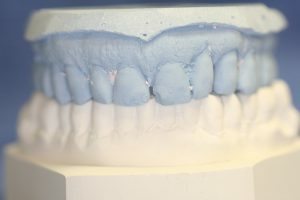 The laboratory fabricated the eMax Veneers. 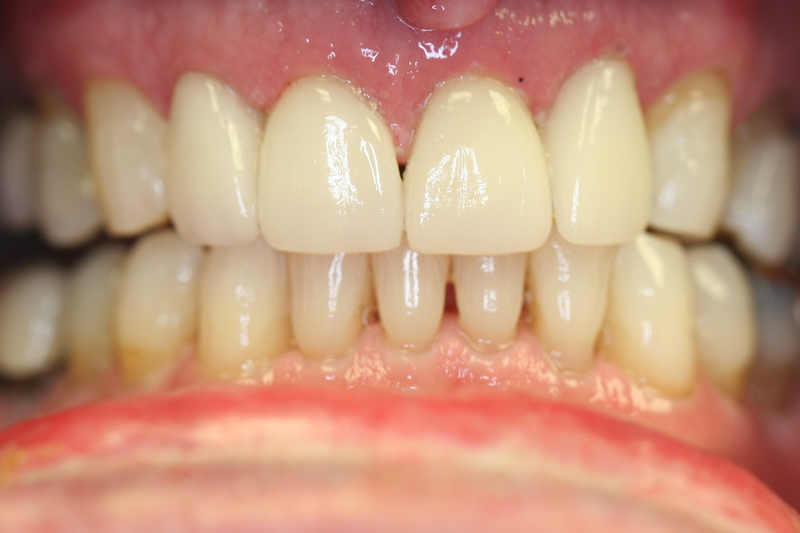 Below are the images of the Porcelain Veneers inserted and the case upon completion. 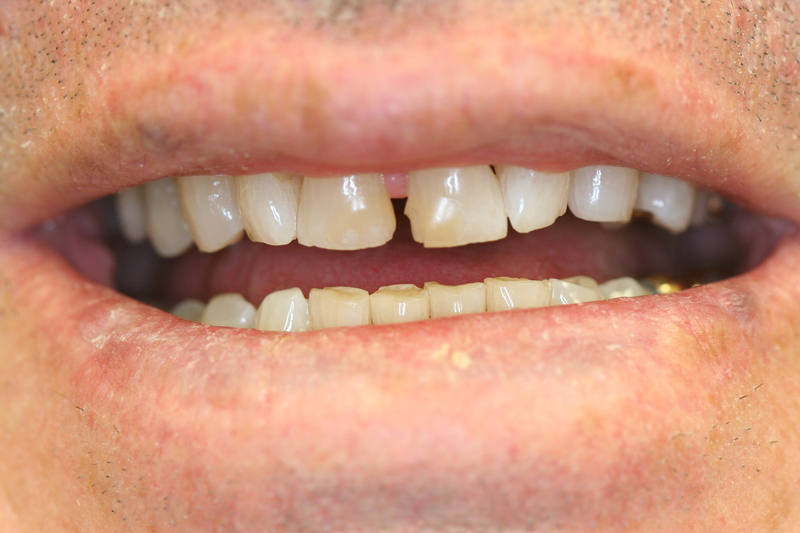 If you would like to discuss this case or any others, please feel free to contact us at www.eastboyntondental.com. Schedule your appointment today.